An environmentally friendly, VOC free, lithium silicate concrete floor densifier, hardener, and sealer. Lithium 100 is designed to penetrate untreated, bare concrete surfaces providing a permanent glossy, dust proof floor. 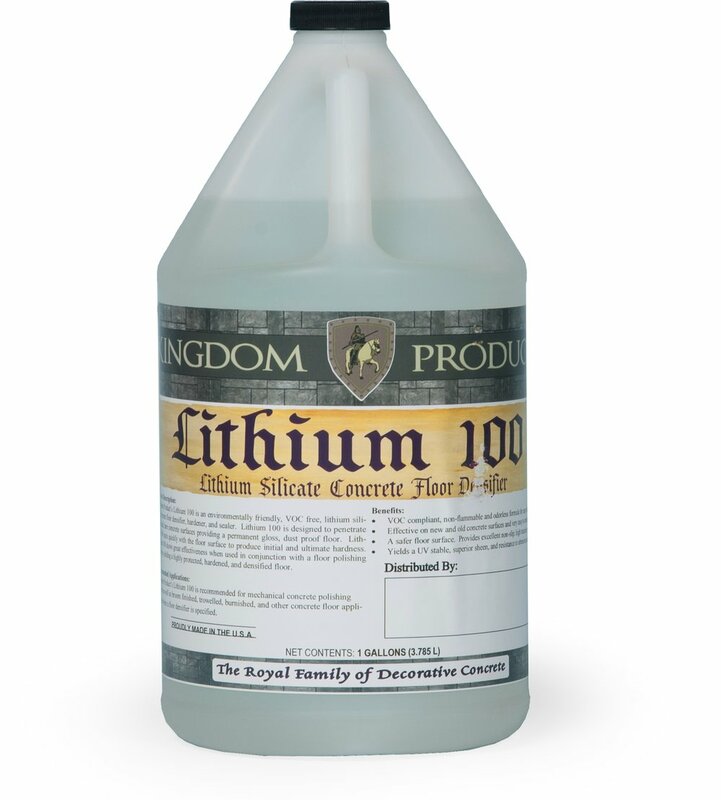 Lithium 100 reacts quickly with the floor surface to produce initial and ultimate hardness. Lithium 100 shows great effectiveness when used in conjunction with a floor polishing machine, yielding a highly protected, hardened, and densified floor.